When the Volkswagen Touareg first arrived around five years ago, the SUV became the first production home to Volkswagen's then-new V10 TDI engine. However, as the old saw goes, "Time waits for no man"... or machine apparently. After a relatively short run, Volkswagen's 5.0L V10 turbodiesel is soon being consigned to the scrap heap of history. Increasingly stringent emissions requirements have meant that the V10 could only be sold in 45 states for the last two years with sales in the large market of California being verboten. The Touareg will, of course, live on, and the TDI version will be transformed early next year into a new 50-state legal version using the same 3.0L diesel V6 that propels the Q7 we drove during the recent Audi Mileage Marathon. 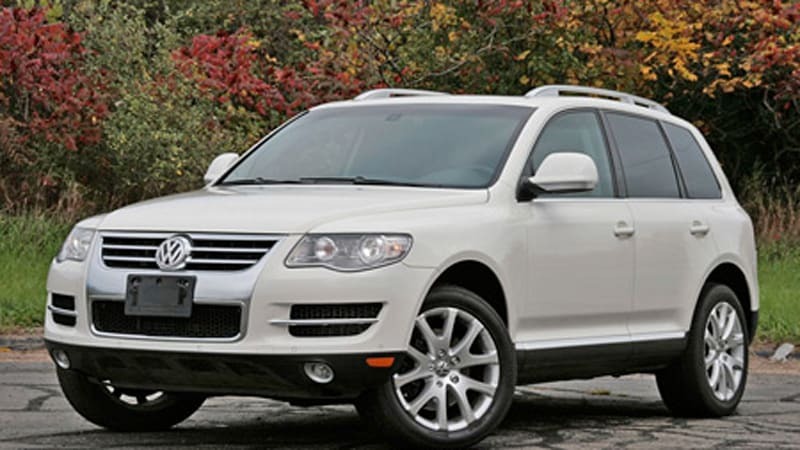 The Touareg itself was not only the first application for the diesel V10, it was also Volkswagen's first SUV. 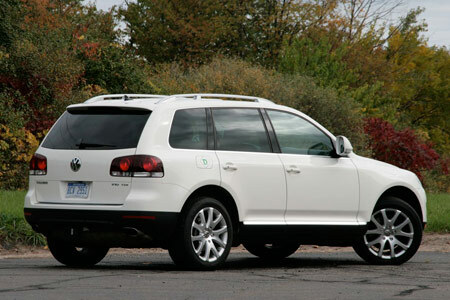 The architecture of the Touareg was developed in cooperation with long-time "friend" Porsche who happen to use the same platform for its Cayenne. Later, Audi popped out its own longer wheelbase variant as the Q7. Find out what it's like to live with this lame duck diesel beast after the jump. 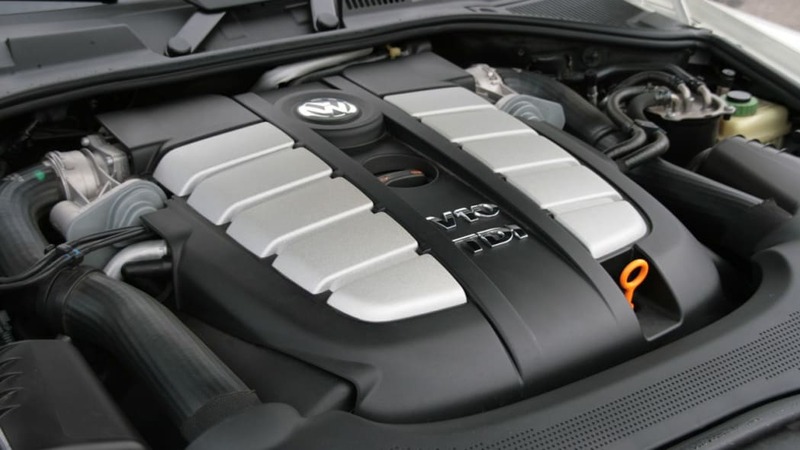 Volkswagen's V10 diesel first appeared in a 1999 show car called the Concept D and then later in January 2000 at the Detroit Auto Show in the Advanced Activity Concept or AAC. 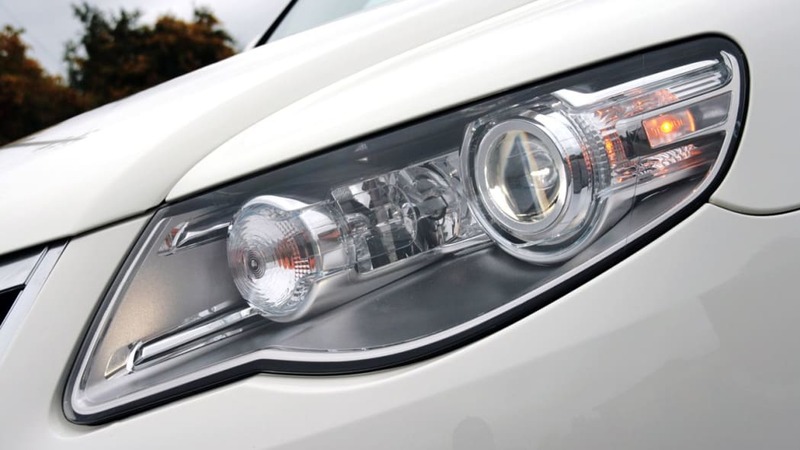 The AAC was a truck concept with a front half that previewed the look of the Touareg. 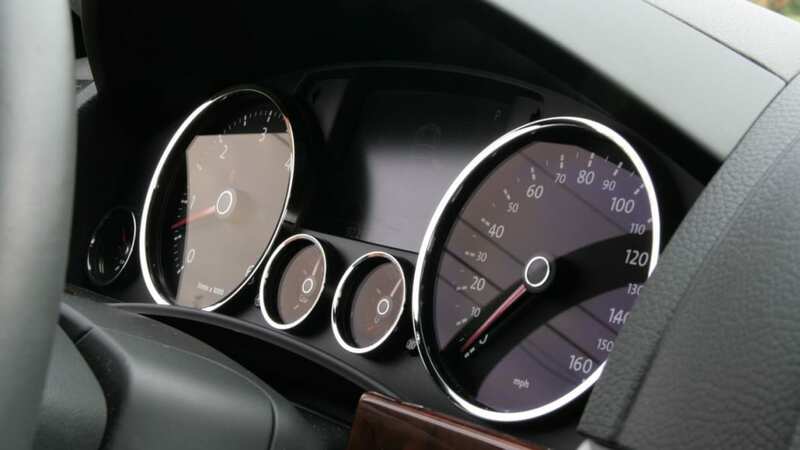 Eventually its V10 would be used by both the Touareg and the ill-fated Phaeton luxury sedan. The twin turbocharged V10 was unusual in having an aluminum cylinder block, a rarity in diesel engines. The lower end of the block contained a cast iron main bearing carrier to hold the crankshaft with its offset crank-pins. The off-set crank is needed to provide even firing intervals with the cylinder banks spread at a 90-degree angle. 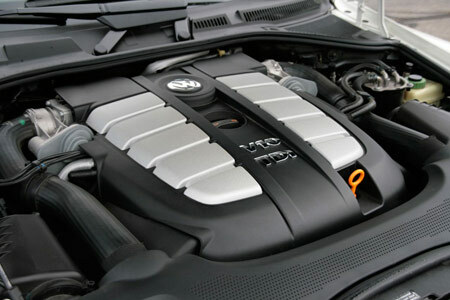 This V10 is the last new VW diesel designed with the "pumpe-duse" injection system. The pumpe-duse, or pump nozzle system, uses an individual high pressure fuel pump for each cylinder directly connected to the fuel injector. This same system is now being replaced in new Volkswagen-Audi diesel engines with common rail systems that can control fuel flow more precisely. A single camshaft sits in each cylinder head actuating just one intake and one exhaust valve per cylinder. All that hardware provides no shortage of grunt as the V10 generates 310 hp and 553 lb-ft of torque, which is handy considering the Touareg has to drag around 5,800 lbs before even loading up. 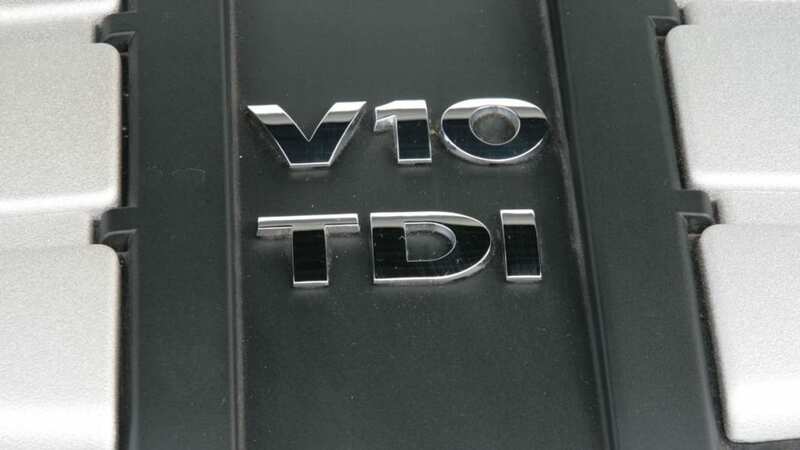 Interestingly, while this V10 is the largest displacement diesel VW makes, it's no longer the most powerful. 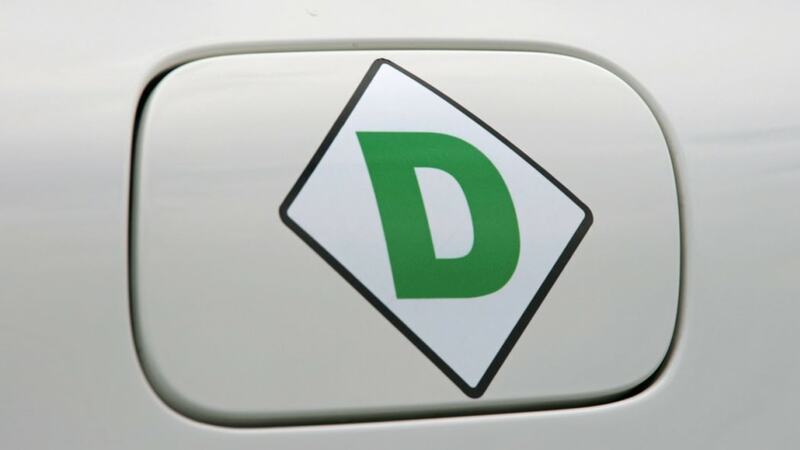 That honor goes to the 4.2L V8 TDI used by sister brand Audi in the A8 and Q7 in Europe. I had a chance to try out a Q7 4.2 TDI earlier this year over on AutoblogGreen and it was a rocket with 326 hp and 560 lb-ft of torque. 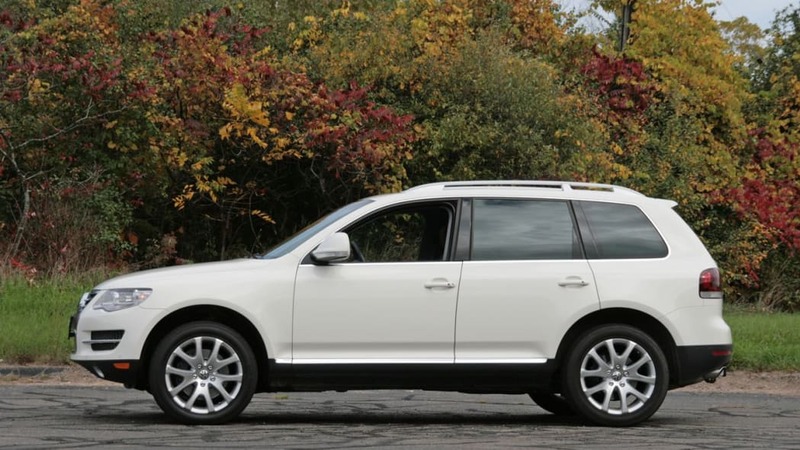 Nonetheless, the Touareg V10 is no slouch. Step on the right pedal, and after a momentary delay while the torque converter gets wound up and the turbos generate some boost, acceleration comes in a rush. We didn't try out any towing, but the way this thing accelerates at any speed, connecting a 7,700-lb trailer to the Touareg is unlikely to put any significant strain on the engine. 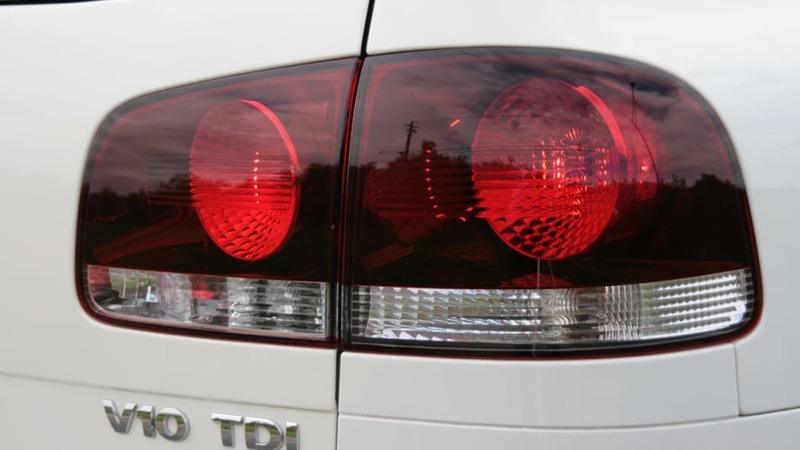 Since the Touareg was refreshed for the 2007 model year, the V10 has also been equipped with diesel particulate filters that eliminate virtually all of the soot from the exhaust. 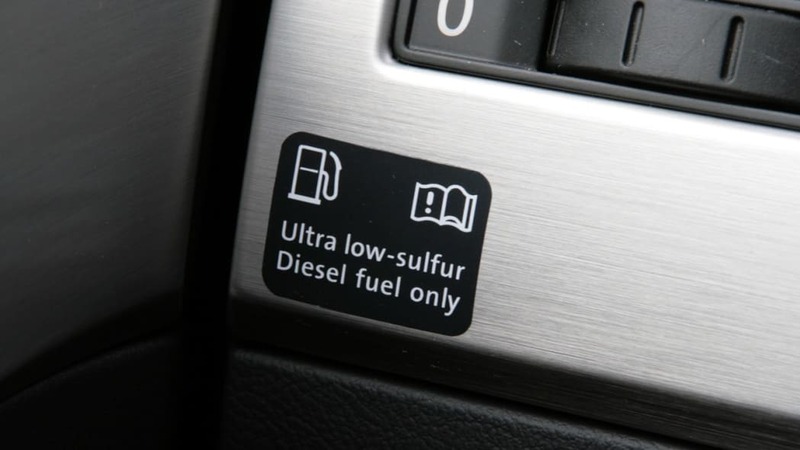 Thanks to the ultra-low sulfur diesel that's now required in the U.S. as well, there was never any hint of smell from the Touareg. In fact, the only thing that has kept this SUV out of California for the past two years is NOx emissions. Rather than add a urea injection system to the V10, VW has instead focused its efforts on the new 3.0L V6 that's coming in the next few months. Another area where the V10 falls short compared to more recent diesels from VW, Mercedes and BMW is noise. Vee Dub's latest common rail-equipped diesels are particularly quiet and most have a hard time detecting they are diesels. While this V10 is far quieter than diesel engines often found in heavy-duty pickups from the Detroit 3, it does still exhibit some of the traditional clatter that Americans associate with compression ignition engines. It is, however, remarkably smooth with no noticeable vibration. Believe it or not, there is more to the Touareg than this monster engine. 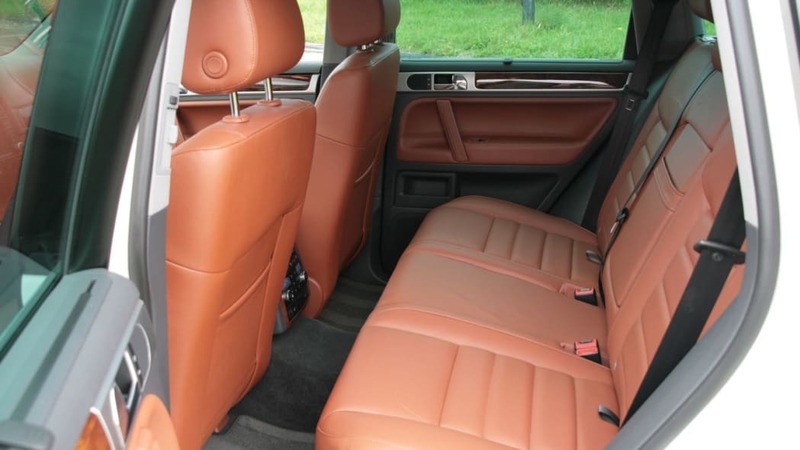 The vehicle itself falls firmly into the mid-size SUV category. 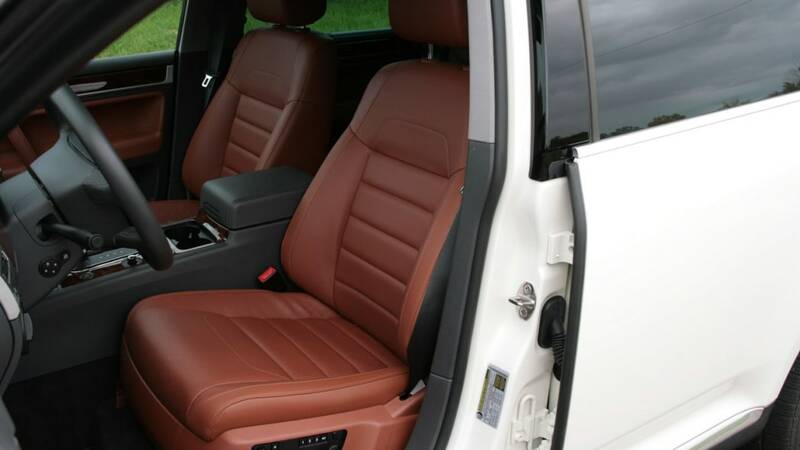 Although slightly shorter than a BMW X5, it has similar interior dimensions to the Bimmer and Mercedes Benz ML, but is more than a foot shorter than its Audi sibling. 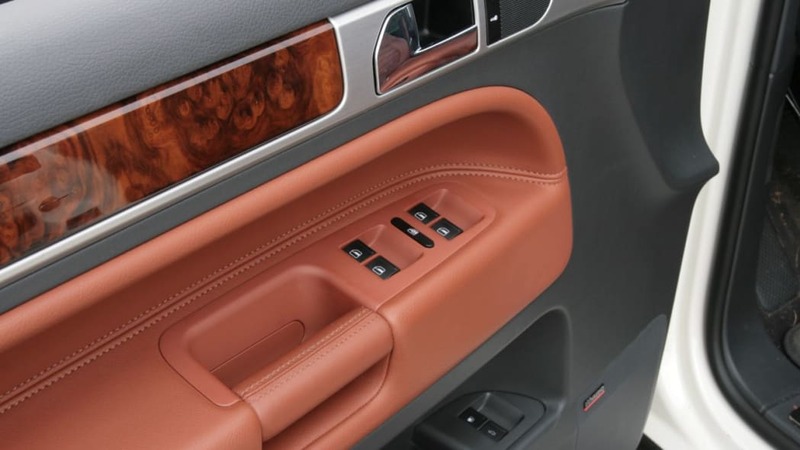 In fact, one of the closest comparisons you can make in terms of interior volume is VW's own Passat station wagon. 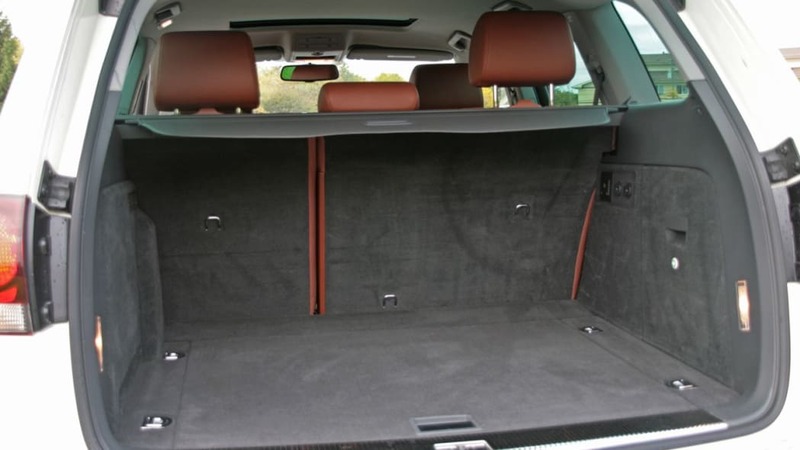 Aside from a two-inch advantage in shoulder room, the Touareg actually looses out to the Passat in rear leg room and cargo volume. The SUV, however, rides some eight inches higher and weighs a full 2,000 lbs more than the station wagon. 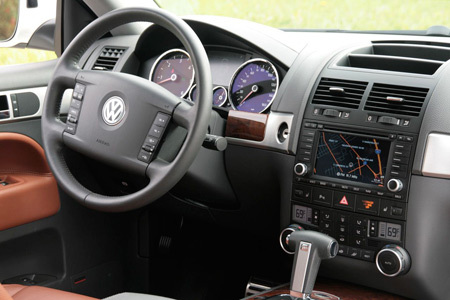 Inside the Touareg lives up to the usual high standards set by Volkswagen Group products. 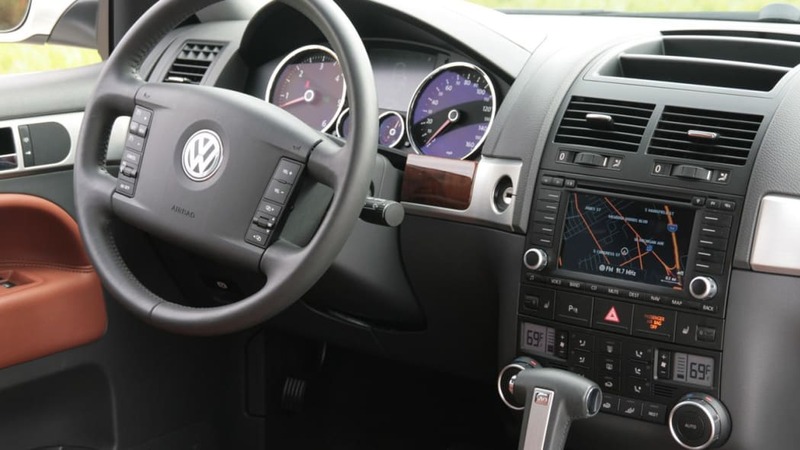 The Sienna leather-covered seats are comfortable, although their lower cushions are a bit flat for a VW, and the lower part of the center console has a plethora of identically sized buttons that each requires their own look to operate. 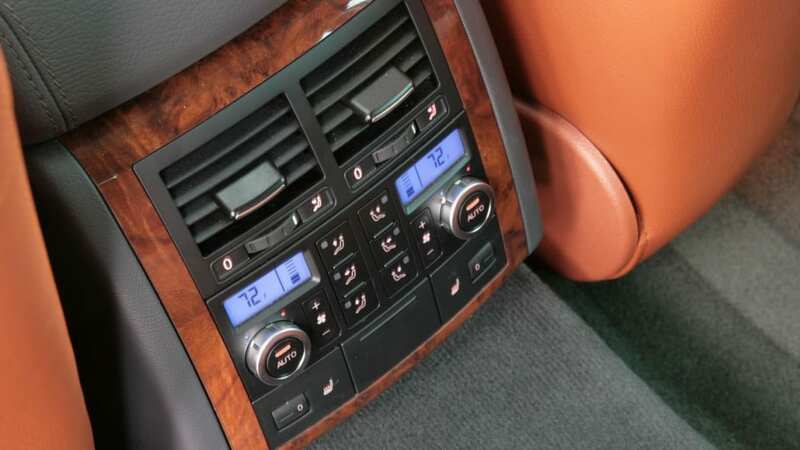 Behind the transmission shift lever are pop-up knobs to select 4WD high and low range as well as controls for the differential locks to the left and ride height to the right. In between those are damper settings and stability control disable switches. On the road the Touareg feels distinctly softer than the Audi Q7. Even with the dampers set to Sport mode, the responses are not as crisp, body roll and pitch is more pronounced and the steering feels lighter. 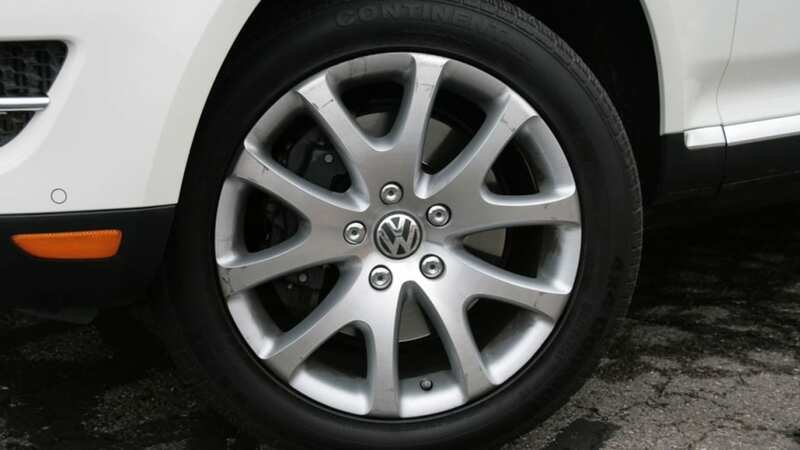 Aside from strong acceleration, it feels like like the Touareg weighs nearly three tons. 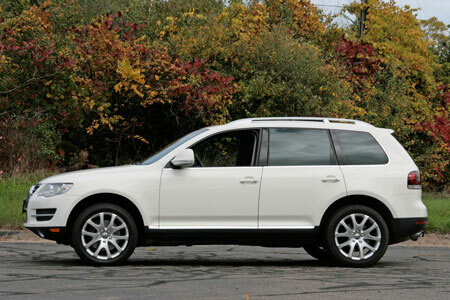 Oddly, in spite of being a foot shorter, the Touareg does actually weigh more than 400 lbs more than a Q7 TDI 3.0 V6. 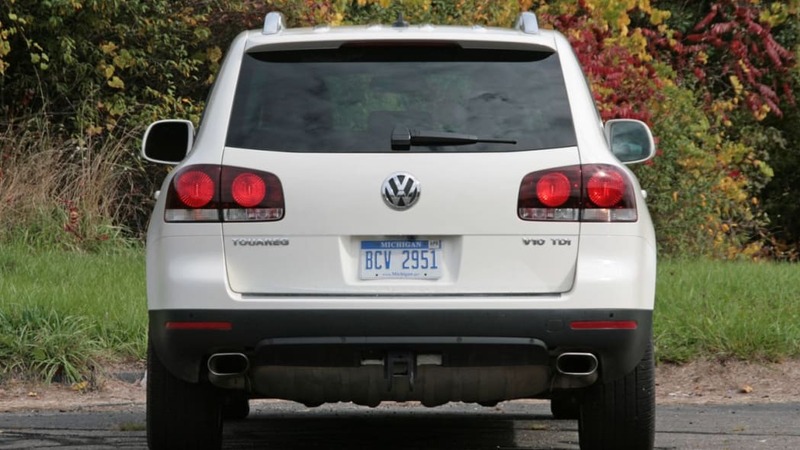 Most of that extra mass must be underhood because the gas-powered V6 Touareg is about 100 lbs lighter than the Q7. Wherever it is, the Touareg's mass sure makes its presence felt in inertia. 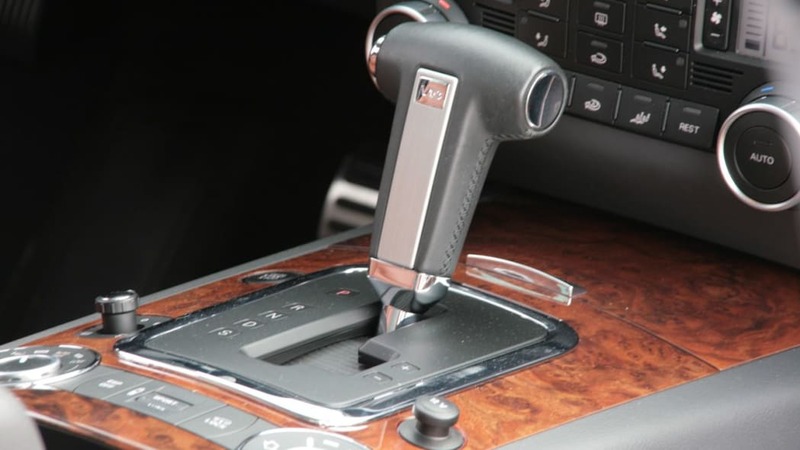 The 6-speed automatic transmission, however, shifts smoothly and the immense torque of the diesel engine means it doesn't necessarily have to downshift every time you stab the accelerator. 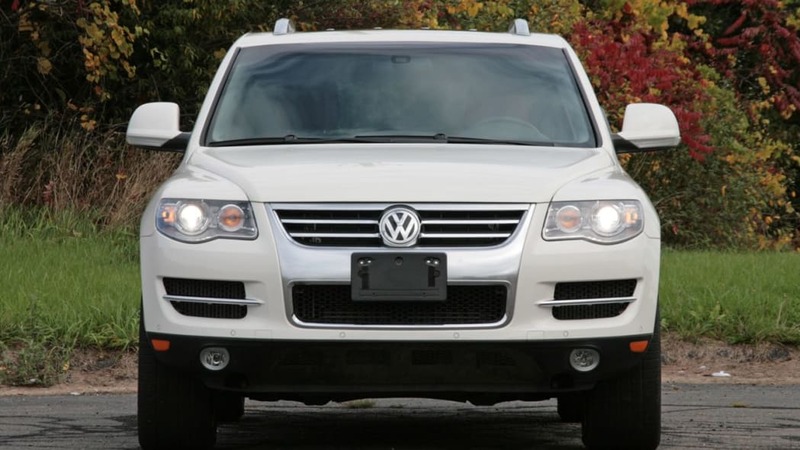 The V10 Touareg is rated by the EPA at 15 mpg city and 20 highway. During its stay in the Autoblog Garage, it averaged 18 mpg in mostly city driving according the SUV's trip computer, which is by no means exceptional in the grand scheme of things. On the other hand, for a three-ton SUV with a max tow rating of 7,700 lbs. and strong acceleration, it's not bad. When the new V6 TDI appears in a couple of months, that number should easily climb into the upper 20 mpg range. 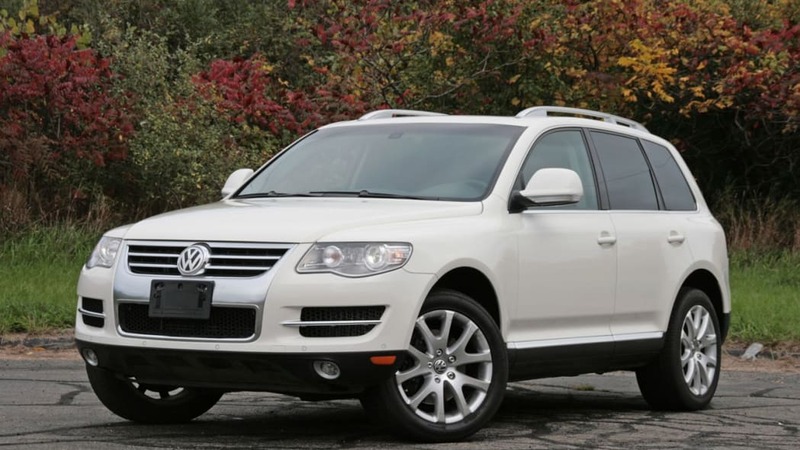 If you don't live in California, New York or one of the other states that follow California emissions rules, you can probably still find a new Touareg V10 TDI. They don't come cheap, though. 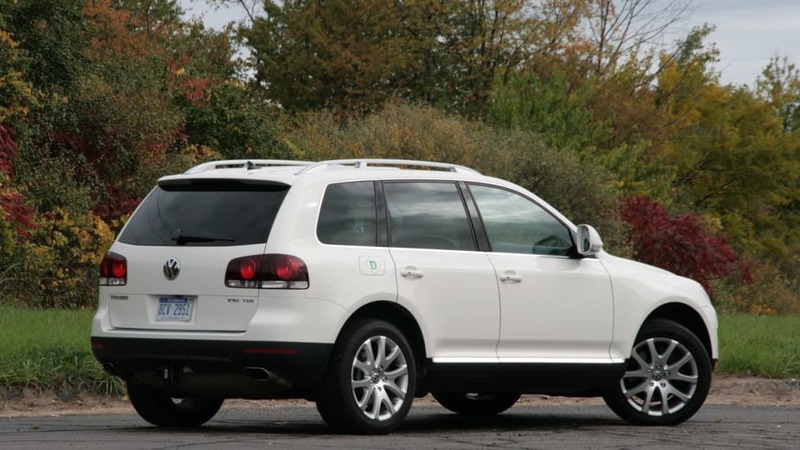 While a V6 gas-powered Touareg starts just shy of $40,000, a diesel V10 like this one will run you nearly twice as much. 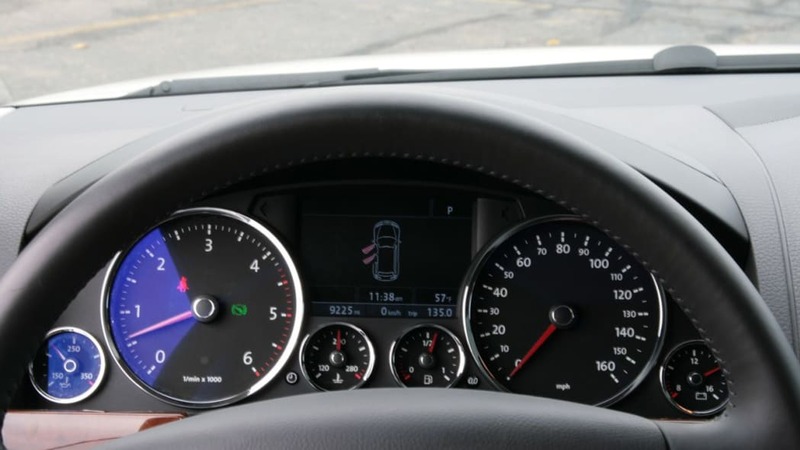 The $68,340 base price of our tester was also boosted to $77,880 with the addition of adaptive cruise control, the Lux Plus package (push button start stop, four-zone climate control, etc.) and the technology package (navigation, backup camera, cd changer, etc.). If you do go down this path, you'll certainly get a unique SUV with better performance, fuel efficiency and capability then either the current V6- or V8-powered gas models. Is it worth the mountain of cash you'll need to get one? Probably not, especially with a new Touareg TDI powered by VW's common-rail 3.0L diesel V6 right around the corner.